Rideshare companies like Lyft and Uber have reinvented the taxi industry. Cars for hire is now the preferred choice for transportation, especially in major metropolitan areas like Chicago. Commuting is now more convenient when moving about the city at a reasonable cost. Because rideshare cars are summoned through a mobile device app, scheduling a ride online for most consumers is far superior to using public transportation or hailing a taxicab at a windy or rainy curb. However, with the increased popularity of ridesharing in recent years, the number of Uber and Lyft accidents has also been on the rise. When rideshare programs were first launched in cities throughout Illinois, there was confusion as to how the insurance provider would pay out claims on injuries, when the rideshare driver was online connected to the company’s app between picking up and dropping off passengers. To help better identify liability in providing coverage to the car owner and what legal responsibility could be excluded when the vehicle is being used for commercial transportation, Illinois lawmakers proposed numerous bills that could address the complicated legal issues. A vehicle crash involving a Lyft or Uber driver is more complicated than using other forms of regulated transportation like the public bus system or taxi cabs. This is because this type of transportation is a hybrid of a taxicab that charges fares and a passenger vehicle driven by a “non-professional” motorist. 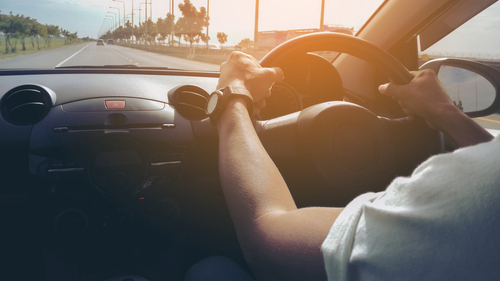 This poses significant legal challenges in Illinois courtrooms under liability when an accident occurs and a passenger in a rideshare vehicle is injured. The business model of the two major rideshare programs is built on the foundation that vehicles used to transport paying passengers are the personal property of the driver and not Uber or Lyft. By law, the independent contractor driver is responsible for maintaining insurance on the vehicle for their personal use. However, when the vehicle is being used as a commercial mode of transportation, the driver’s auto insurance likely does not provide coverage while the personally-owned private vehicle is being used commercially. Technically, once the passenger sits inside the rideshare vehicle, the company (Uber or Lyft) vehicle’s liability policy should cover the passenger, even if any other vehicle involved in the accident does not have insurance. This is because the rideshare company’s policy should have high limits of liability coverage and provide both uninsured and underinsured drivers coverage of up to $1 million or more. The passenger inside the rideshare vehicle suffered injuries caused by the negligent actions of the rideshare driver. The passenger inside the rideshare vehicle suffered injuries caused by a two-car crash where the other driver was at fault. The driver of the rideshare vehicle suffered injuries when alone, when off-line, online, or with a passenger. Passengers or drivers in other vehicles involved in the accident suffered injuries caused by the rideshare driver. 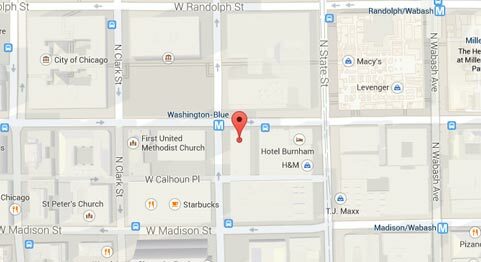 The driver of the rideshare vehicle strikes a pedestrian or bicyclist. Both Uber and Lyft policies state that they perform a background check and driving check for every proposed driver applying for a position with either company. However, both companies only check the applicant’s last seven years of driving history, which means there may have been serious accidents with injuries and death in the driver’s distant past that are not identified during a background check. Does the rideshare driver involved in the accident have automobile coverage with the appropriate liability limit amounts equaling $100,000 for death and personal injury per incident and $25,000 for property damage? Did the rideshare driver use the company’s proper rideshare app when picking up the passenger in the vehicle when the accident occurred? What is the comprehensive driving record of the rideshare driver that goes beyond the last seven years and does it reveal serious traffic and driving violations? Rideshare drivers who work for Uber or Lyft have an elevated risk of liability compared to passenger vehicle motorists who are not driving in a commercial capacity. In addition, the driver of a rideshare program has increased liability compared to taxi drivers who are under the employment of a commercial company that provides passengers coverage under its own company insurance policies. By law, rideshare drivers for Lyft and Uber are often referred to as freelance contractors instead of employees. This means that their automobile insurance might provide umbrella coverage when the driver is “on the clock” and accepting rides through the company’s online app. April 2016– Family members of a deceased victim in an Uber accident filed a lawsuit against a Seminole County deputy and the Uber driver after an investigation found the driver was responsible for the crash after running a red light. At the time of the collision, the deputy’s SUV was speeding through the intersection traveling 60 mph or more without turning on the emergency lights or sirens while responding to a domestic incident. The passenger died from the impact caused by the collision that sent the Uber vehicle cartwheeling through the intersection. June 2016– A North Philadelphia woman died after being struck by an Uber driver when she stepped in front of the traveling vehicle. The incident occurred around 2 o’clock in the morning just after the woman left a delicatessen. February 2016– A 68-year-old female pedestrian in Windsor Locks, Connecticut succumbed to her severe injuries after being struck by an Uber vehicle on a February 2016 Sunday night at approximately 8:00 PM. The Uber driver was transporting a passenger to nearby Bradley International Airport when the woman was struck in the street. January 2015– A female pedestrian in Manhattan, New York was seriously injured and her boyfriend was killed at the scene after being struck by an Uber driver behind the wheel of a Mercedes SUV while they were crossing the street at 62ndand Lexington Avenue. While there were no passengers in the Uber vehicle, the driver was almost to his destination to pick up customers when the crash occurred. The Uber driver was summoned to court for operating a vehicle without a license. However, two days later the citation was dismissed and the driver was never formally charged with a criminal offense by the New York Police Department or the District Attorney’s office. Even though Uber driver had his license suspended after the accident, it was reinstated in good standing with the state’s Taxi and Limousine Commission sometime later. The surviving victim filed a lawsuit against the driver and Uber claiming that she was “a lawful pedestrian in the crosswalk” at the time of the crash. She claims that at the time of the accident, the Uber driver was operating negligently in disregard of the traffic signal while traveling at a high rate of speed. The surviving victim stated that the Uber driver broke New York laws prohibiting the use of electronic devices while operating a vehicle. Since the accident, there are no more Uber vehicles transporting passengers throughout New York City compared to the number of traditional taxicabs. What to do if You Were Involved in a Chicago Rideshare Accident? If you are in an accident while riding as a passenger in a rideshare vehicle, it is essential to call law enforcement to report the event, even if there are no obvious injuries or fatalities. This is because whether you believe you are injured or not, it is imperative to request an ambulance to come to the scene of the accident so you can receive immediate emergency medical attention. It is far better for your health to have a doctor evaluate your condition to diagnose any potential problem that might have occurred in the collision. This is because many serious injuries including a concussion, head trauma, broken bones, and internal injuries do not always present signs and symptoms of an injury until days, weeks, or months after the crash occurred. After the accident, it is important to request a copy of all documents and reports that were generated or collected by the police concerning the accident. While still at the scene of the accident, obtain the driver’s complete name, license number, license plate number, and all pertinent insurance information. If you were struck by an Uber or Lyft driver while riding in another car, riding a bicycle or walking, it is essential to ask the driver if they were driving commercially for Lyft, Uber or another rideshare program at the time of the accident. Both Uber and Lyft are major participants in the multibillion-dollar ridesharing industry. Both companies are eager to keep their costs low and profits high, even at the expense of passengers who have been injured in a rideshare accident. Fighting rideshare accident cases in court can be difficult, but necessary, for victims who must obtain financial compensation to ensure they are made whole again. These cases are comprehensive and require the skills of a reputable personal injury attorney who can build a solid case on facts and evidence, negotiate with claims adjusters for an out of court settlement, or present the case in court in front of a judge and jury to ensure their client receives adequate financial compensation. If you have been injured in an Uber or Lyft rideshare accident, it is crucial to speak with an experienced personal injury attorney who specializes in rideshare accidents. This is because determining liability can be complicated when the crash occurs when a passenger is being transported in a rideshare vehicle. Having an attorney who provides legal advice and representation can determine if your driver is at fault for the collision because of negligence, drunkenness, distraction or other liable problem. We understand that filing a claim for an accident is very confusing, especially if the incident involved a rideshare vehicle. Our law firm has a comprehensive understanding of Illinois tort law, state insurance policies and extended coverage for rideshare drivers involved in accidents. We have experience in successfully resolving cases that made sure our injured clients received the financial compensation they deserved. We can work on your behalf to determine who is at fault for the accident, file your claim, negotiate a settlement or present your case at a jury trial.